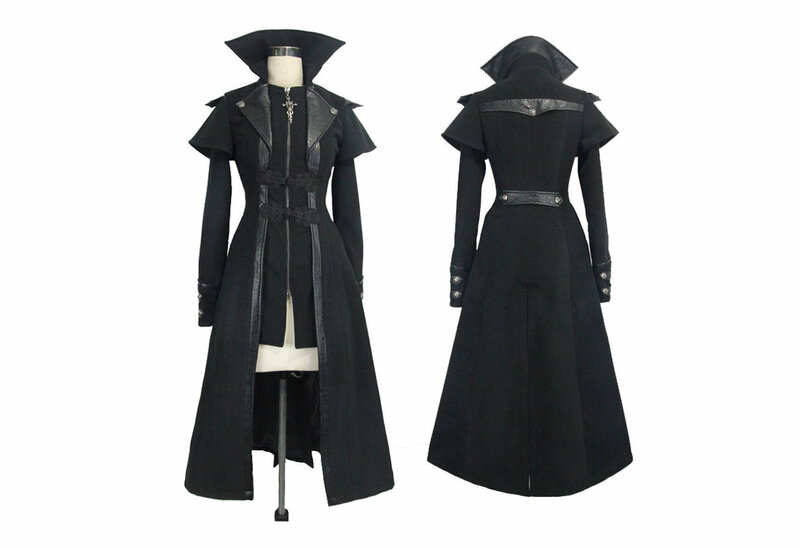 The Serenity coat is a beautiful women's Gothic trench coat. The zip-up front has two Chinese rope hook and button enclosures. The textured lapels have silver button details. What is the fabric. Is it weatherproof? It\'s 90% polyester and 10% viscose. I haven\'t worn it outside yet but it\'s heavy like wool. Answered by Ratspootin on Saturday 14 October, 2017.
i want to know do this trench runs small because i\'m looking for an extra large, is it fit(true)to size. This coat is fantastic--really great quality, nice and heavy. And the service at Rivithead is truly amazing, I needed a new size turned around really fast in time for a concert and it got to me in plenty of time. 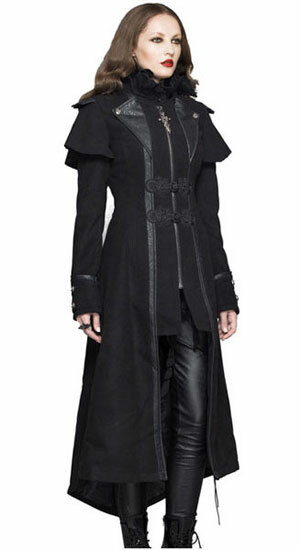 Truly a great jacket that's stylish and dark all at once! My first purchase from Rivithead ever and am totally going to purchase more in the future from this amazing company!